The weather is warming up and it's so nice have the windows open. It's time to rid the house of the dirt and grime from a winter hibernation. There's no reason to run to the store to pick up cleaning products. Just head to the pantry and whip up these homemade natural cleaning products to get your home sparkling! Homemade Lemon Window Cleaner – You only need three ingredients to make this lemon scented window cleaner! Homemade Toilet Bowl & Drain Cleaner – Love this one! It's made with just TWO ingredients you probably have in your pantry. DIY Shower Cleaner – This shower cleaner is 2 ingredients and uses Mrs. Meyer's cleaner. It looks good! 2 Ingredient DIsh Soap Tub and Shower Cleaner – This is THE BEST natural cleaning product for your shower and tub! The best part is that you spray, walk away, and then just wipe away the dirt! Super easy and cheap! DIY Granite Cleaner – Stop spending money to keep your granite countertops clean. It's only 4 ingredients and one of them is water. Homemade Lavender All-Purpose Cleaner – Lavender is a natural antiseptic so it's great for cleaning. Plus it smells amazing! Homemade Non-Toxic Floor Cleaner – Another 3 ingredient natural cleaning product that will get your floors sparkling. Homemade Glass Cleaner – This cleaner is great for pictures, glass table tops, or even your windows. 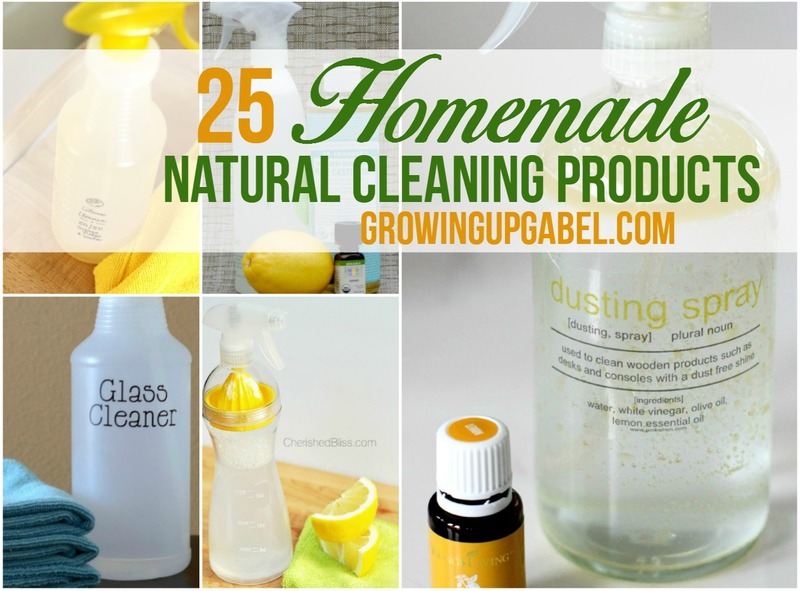 Vinegar & Lemon All-Purpose/Glass Cleaner Recipe – Have an extra lemon that needs to be used? Clean with it using this homemade natural cleaning product. Homemade All-Purpose Cleaning Wipes – These are interesting! I'd use paper towels, but it's something to consider. DIY Homemade All Purpose Cleaner – This all purpose cleaner uses washing soda. I've never used it but if you have some, this might be useful. Homemade Dusting Spray – One thing about living in the desert – it's DUSTY! I love this natural dusting spray. DIY Nontoxic Bathroom Cleaner – Mix this one up for toilets and sinks. Stainless Steel Cleaner – Nothing attracts fingerprints like stainless appliances. Get them sparkling with this natural cleaning product! Citrus Cleaner – I've made this before and it works great! Plus it smells amazing. It's just ONE ingredient! No Streak Homemade Window Cleaner – Say good-bye to streaky windows forever with this simple homemade cleaner. DIY Disposal Sharpener and Cleaner – This is BRILLIANT! Simple to make and it does two jobs in one. DIY Scrub for Tub and Sink Cleaning – This is different. It's a dry scrub that you keep in a mason jar and then use to clean. DIY Washing Machine Cleaner – Nothing surprised more than realizing I needed to CLEAN my washing machine! Here's a great way to do it. DIY Wood Floor Polish Recipe – Keep those gorgeous wood floor sparkling with this homemade polish. Homemade Non-Toxic Disinfectant – When the kids are passing around their germs, disinfect the house naturally with this. All Natural Homemade Cleaner with Castile Soap – I use castile soap for everything, but I've never made a cleaner with it! Love this one! Nice resource page. 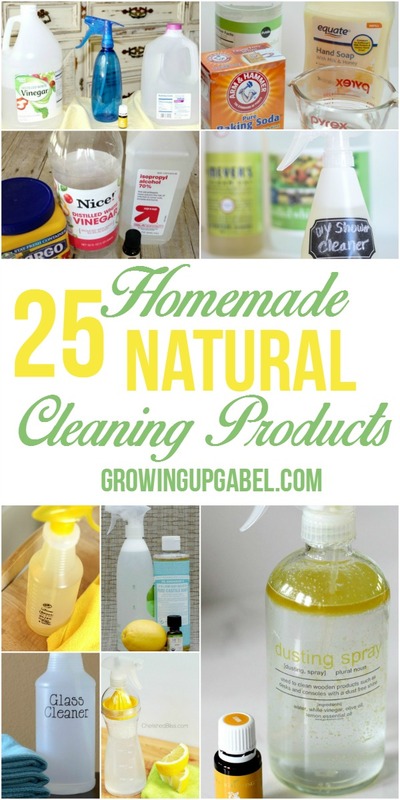 It’s good to find all of these homemade natural products for cleaning at one place. So, excited to give all of these homemade cleaning ideas a try.